Toledo Metal Spinning Company (TMS) is happy to announce the Cleanline® product catalog has been added to www.toledometalspinning.com. 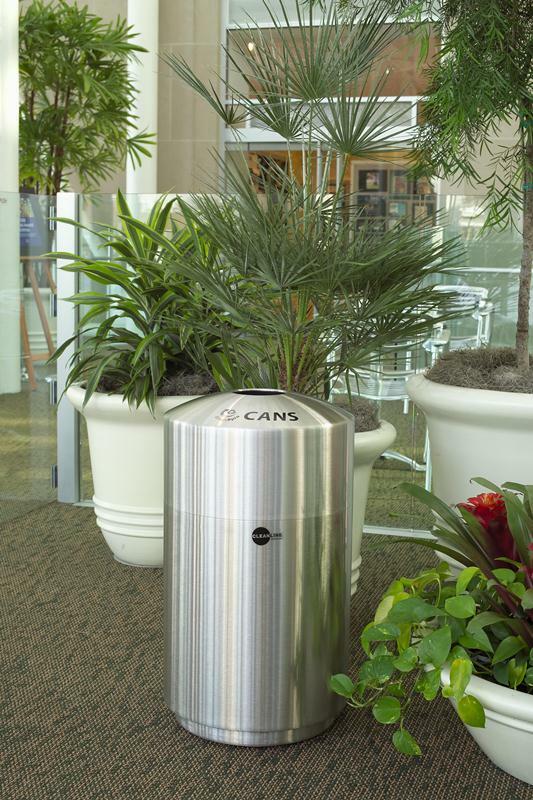 The Cleanline® trash cans are the most durable and beautiful refuse containers on the market. Whether your are disposing garbage or recycling, the 304 stainless steel containers are durable due to really thick gauge stainless steel. The durability will allow many years of use making Cleanline waste receptacles to be the best value overall, especially compared to the competition with 50% thinner 22 gauge materials. The online catalog allows you to get pricing with price breaks at quantities of 25, 50, 100, 250. Please view our products and contact us with any questions or feedback. We are always interested in product ideas that can helps us serve your needs better. Cleanline® is a registered trademark of Toledo Metal Spinning Company. All designs are patented. Previous PostTMS is live with new website!